We Knew It All Along: This October will be 60 years since Ralph Branca, the Brooklyn Dodgers pitcher, threw Bobby Thomson, the New York Giants slugger, the pitch that became "the shot heard round the world." And yesterday, we learned something new about Ralph Branca, the man. As Joshua Prager of The New York Times reported in For Branca, an Asterisk of a Different Kind, Ralph Branca is a Jew. And he never knew. The 1884 marriage of Ignatz Berger and Antonia Gipsz, a ceremony at which Jakob Friedman, a rabbi in Sandorf, had officiated. The mohels and sandeks who performed each bris and held each boy during the circumcisions. The arrival of Kati in the United States. On Nov. 17, 1901, a gatekeeper at Ellis Island categorized her as single, Hungarian, a seamstress, white, literate and “Isr”— Israelite, signifying a Jew. In 1951, one of every three Brooklynites was a Jew, and many held as fast to their chosen team as to their inherited religion. And how has Branca reacted? Branca had to find room for his Jewishness in his life story, and quite literally. His autobiography, A Moment in Time, was due out in September. He inserted two sentences. Abq Jew was one year old, and remembers exactly where in the Polo Grounds (seating capacity: 56,000) he and 56 million others stood at 3:58 p.m. EST on October 3, 1951, when Bobby Thomson broke our hearts. 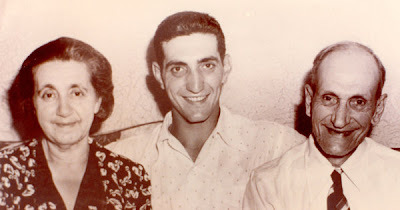 Here is Abq Jew's reaction to Ralph Branca's Jewishness: We knew it all along. Indeed, some may have known it all along. No doubt, the suggestion he was fasting on Tzom Gedalya was tongue-in-cheek. See the link there to the previous post from '07. What a great link! Thank you!